Popular mobile dating app Paktor released new data indicating that there is literally no expiration to love. With a 20% surge in app usage in the two weeks leading up to Singles Awareness Day, also known as Valentines’ Day for you lucky couples, both men and women are taking matchmaking into their own hands. Words out there in Singapore is that the older man has to go looking for his younger blushing bride. However, age does not seem to be a factor on Paktor. While Paktor’s most users fall within 18 – 35 years old, there has been a steady growth of mature users on the app. Within the last 3 months, mature women tend to match with younger men, with an average age gap of 11 years. As for mature males, they also tend to match with younger females with an average 12 year age gap. 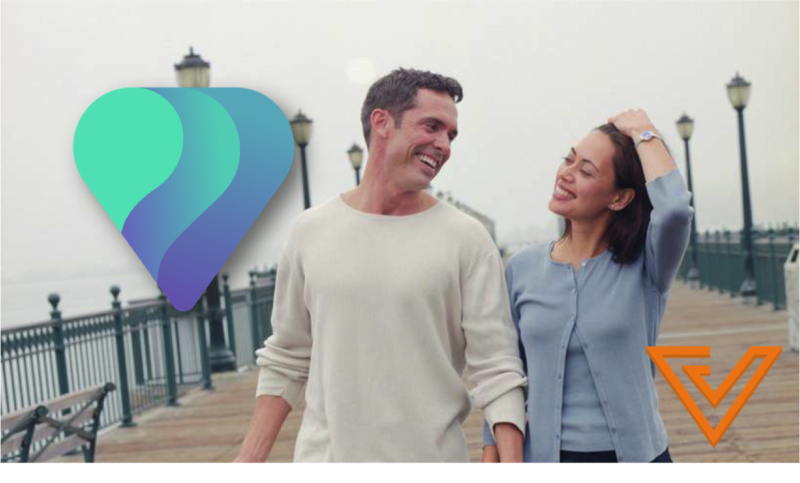 “Mobile dating is no longer just a young person’s option as we have seen a growing percentage of mature users who have embraced our model of meeting new people and making genuine connections,” says Joseph Phua, Co-Founder and Chief Executive Officer for Paktor. Behind its cool blue icon, there lies over 1.5 million users in Southeast Asia, with Singapore being one of the most active markets in the region. Surprising statistics shared by Paktor has shown that women in particular tend to spend 20% more time on Paktor compared to men with a general average of almost 13 hours a month per user. 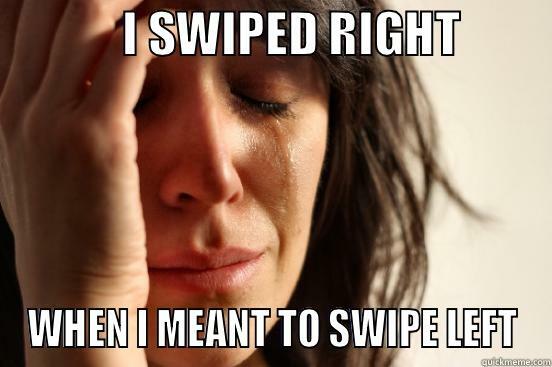 Swiping across your mobile screen could be considered passive according to the majority of men’s dating advice; hence one would not be surprised if local men were going back to conventional blind dates offline after an online conversation turns stale. In comparison, local women just do what they do best: swipe and wait. 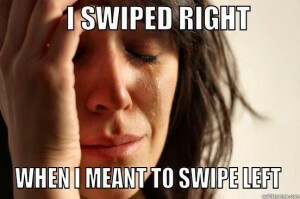 As a female Paktor user, I do think the dating app is addictive. With greater autonomy over my choice of potential dates, I cannot help but attempt to scrutinize the entirety of the other person’s profile before unlatching any doors. Another reason is perhaps women are just using Paktor to pass their time. More often than not, I find myself casually swiping across both male and female photographs during my downtime away from work. Stuck with only a blank wall and computer screen as my best friends, the mobile dating app gives me a glimpse of what could be. Online dating now a norm? 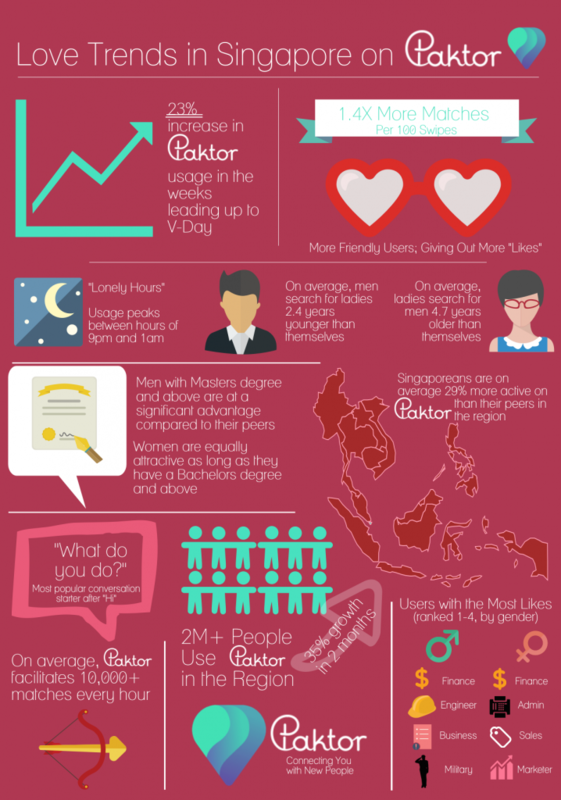 Regardless of duration spent on online dating apps, Paktor has enabled over 40 million matches to date in the entire Southeast Asia region. This could indicate a rising comfort level with online dating with the advent of such apps. No doubt there is still a looming cloud of concern of being recognised by a stranger off the street only to realise we’ve been texting every night till 1am. But I think after the initial surprise wears off, it would be nice to meet up face-to-face to officially welcome them into my social life. For those who have yet to embrace this modern-day matchmaking method, I daresay just go for it.